I was raised in a house with two religions. My mother had been raised Catholic, spending K-8th grade in Catholic school. My father was Jewish, but left Hebrew school after about one day. I was religiously curious as a child, asking my mom for a kiddie bible with pictures and asking endless questions about my cousin’s baptism. I was always told by my parents that when I was older I could pick a religion on my own. Christmas and Easter were always celebrated in a secular sense in my house, and when I was seven I wanted to celebrate Chanukah as well so my mom went out and bought a menorah. I spent most of my childhood identifying as both religions without much thought. When I was 13 I was forced to give religion a thought. I received 30+ phone calls from a restricted phone number threatening me because I was Jewish. The calls spanned from saying that the person was Hitler and coming to kill me, to shouting obscenities combined with calling me a Jew. A month later the police warrants used to uncover the identity of the phone numbers revealed that the whole time it had been one of my best friends and neighbor. 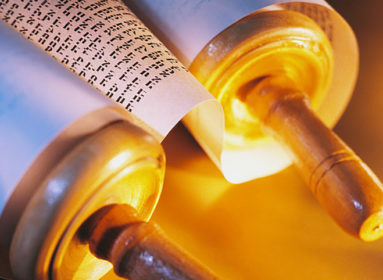 Judaism, which did not have much of an impact on my life previously, suddenly became my burden to bear. While I had sustained the occasional comment or insult, it had been nothing like this. As most teens were turning 14 and getting ready to start high school, I was going to the police station to get a restraining order against someone I trusted. I couldn’t believe how much had fallen apart because of my religion. For the first time, I wished I wasn’t Jewish. I began to hide it, not necessarily telling people unless they asked, and definitely not promoting it. As a once outspoken and confident young woman, I became significantly quieter as a person. Then, when I was 15 and I was invited to join a Jewish youth group called BBYO. I was not that interested in going to a meeting, and I didn’t suddenly fall in love with this youth group. In all honesty, if a cool, older teen had not asked me, I probably would not have gone. I was invited to the local chapter’s ‘trick-or-canning’ event, where the members would collect cans around Halloween to donate to food shelters. I figured it wouldn’t hurt to go do community service and see if I liked anyone there. I had a pretty good time. After a few of more meetings, chapter members convinced me to attend a regional convention for the Connecticut Valley Region called Kallah. I wasn’t in love with the idea, but I agreed to go. I figured I could go to one, see what it was like, and then probably quit afterwards. At Kallah I was completely overwhelmed. I had never seen so many Jewish teens in one place, had never been to a service, and had never heard the Birkat said after a meal. I came away from Kallah with a renewed interest in Judaism, after being a part of a service and watching teens participate in the convention’s b’nai mitzvah service. I had never been so instantly welcomed into a community, and that kept me coming back. At the end of that year, I ran for a chapter board position and won. I became the “Aym Ha Chaverot “of Genesis BBYO, vice president of membership and sisterhood. I became fully immersed in my chapter, helping to strengthen it and helping it grow became my top priorities. Our chapter doubled in size that year, we improved programming, and our chapter went from being a group of kids that met once a week to our own little family. Judaism, however, took a little longer. For the first few conventions I went to, I still didn’t know the prayers nor did I fully understand what was going on. But my friends and advisors helped me learn. Slowly, I began to sing along, and eventually felt comfortable joining my chapter when we led a prayer at a convention. Through various programs, I continued to learn about Judaism and it became more and more important to me. While it took over a year of being a member of BBYO, I found myself referring to myself as Jewish, not half Jewish. I started looking forward to services, even helping to plan them. I participated openly in discussions about religion, and asked questions. I have all the members of the Connecticut Valley Region (CVR) to thank for giving me knowledge as well as their opinions on Judaism. With help from my peers, my advisors, and my regional director, Josh Cohen, I was able to fully form my identity as a Jew with pride. I graduated and became a life member of BBYO in 2011. When it came my time to leave, I was the 51st Regional Aym Ha Chaverot of CVR. Graduation was bittersweet. I knew I was going to miss BBYO once I left for college, but I knew it had done so much for me as a person and it was my time to go out into the real world. In BBYO I had become a leader and made friendships that will last forever. Most importantly, I had become able to identify myself with confidence as a Jew. My journey towards Judaism was nowhere near done. Josh Cohen, director of the Connecticut Valley Regino BBYO, pushed me to continue learning more and to continue being part of a Jewish community. This is what brought me to Hillel at the University of Connecticut. I started going to weekly services and participating in various Hillel events and programs. UConn Hillel director Gary Wolff encouraged me to become involved in the Jewish community and to learn more about Judaism. At the beginning of the second semester, Gary began to talk about Birthright [the ten-day free trip to Israel for young Jews ages 18–26 who have never been to the Jewish state]. I explained to him that I wanted to go on a trip that would continue to challenge me to learn about Judaism, Jewish culture and about Israel. My friends and I ended up applying to go to Israel on Birthright through Hillel, and were accepted for the 2012 trip at the end of May. Israel succeeded in completely overwhelming me with Judaism, in the best ways. While there I participated in services in Jerusalem, went to the Western Wall, slept in a Bedowin tent, climbed Masada, went rafting and zip lining into the Jordan River, and swam in the Dead Sea. The most emotional part of my trip, however, was finally becoming a bat mitzvah. When I was in BBYO, Josh and I had talked over the idea of having my bat mitzvah, but I graduated before we could make it happen. We had talked about making this happen while I was in college and finally, at 18 years old, I was ready and able to become a bat mitzvah. It was a significantly shorter service than the typical bat mitzvah service, but it meant the world to me all the same as I became a Bat Mitzvah in Jerusalem this summer. I left Israel feeling more connected to Judaism than ever. It seems so long ago that there was a point in my life where I would say I was “barely Jewish,” and strange that there was a time that it wasn’t a major part of my life. Now, Judaism fits seamlessly into my life. It’s a part of who I am and the Jewish community is something I truly belong to. This does not mean that my journey with Judaism is over. There is always more learning to do, and more ways to be involved with the Jewish community. I have BBYO to thank for getting me involved, and Hillel for helping me to continue this journey. I know that while my story might be uncommon, there are definitely other teens that have made Judaism a bigger part of their lives thanks to these two organizations. I am sure that, like me, they too are extremely grateful for these opportunities. Lauren Simon of Monroe is a political science major at UConn. After graduating from UConn in 2015, she plans to attend law school.